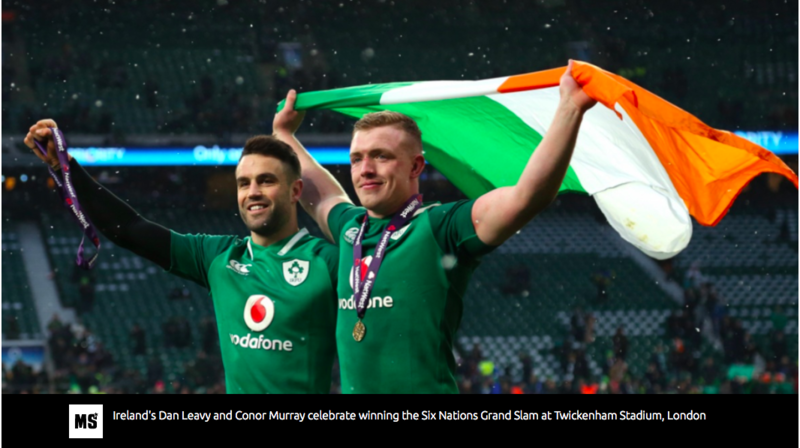 JUBILANT Ireland won only their third grand slam after they defeated England at Twickenham on St Patrick’s Day to cement their position as the No 2 side in world rugby. The outcome was never in doubt as the men in green raced to a 14-point lead before Elliot Daly managed to score a try while Ireland were down to 14 men after Peter O’Mahony was sin-binned for a transgression too many. The game’s first try came after five minutes and was courtesy of a typical howitzer of a garryowen from Johnny Sexton, when he sent the ball skyward and towards the English line. 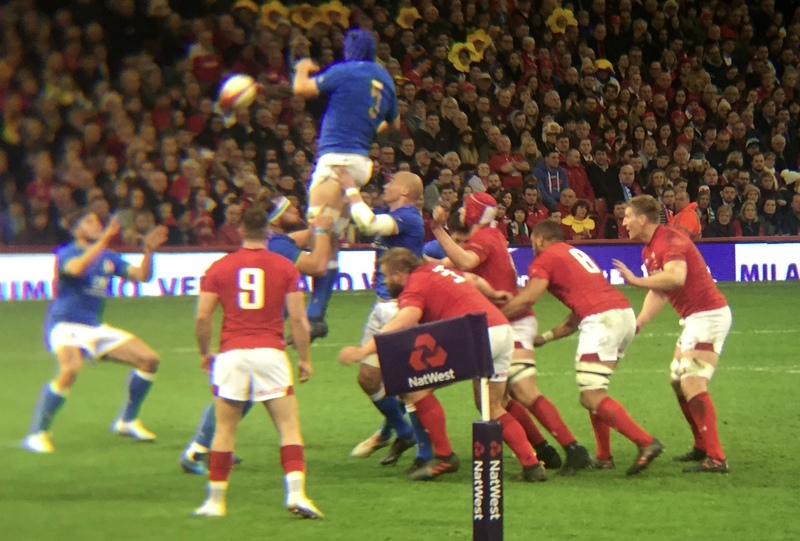 Anthony Watson was the starting full back, preferred to Mike Brown, and he missed the catch as he grappled with his opposite number Rob Kearney. The ball spilled loose and Garry Ringrose pounced for an easy score. Coach Joe Schmidt’s men scored three converted first-half tries as they eased into a 21-5 lead and never looked in danger of losing. If anyone was in any doubt that this was to be Ireland’s day then Jacob Stockdale’s try after the half-time clock showed a minute of overtime clinched it. Eddie Jones had the dead ball zone line extended and painted blue because of the expected snow, but Stockdale touched down beyond the old line, but just within the new one. But what a try from Stockdale, who has set a new Six Nations record of seven tries in one tournament. A stunning pass from scrum-half Conor Murray to Stockdale, who cleverly kicked ahead and dived on the ball just before that new dead ball line. Schmidt’s side have had to complete a grand slam the hard way, managing to wring out a victory in Paris with a stoppage-time drop-goal by Sexton. They then had to contend with England at their Twickenham fortress, where the home side have been unbeaten since the 2015 World Cup. The result was wrapped up by half-time when skipper Rory Best’s men had ridden out being reduced to 14 men, but led 5-21. 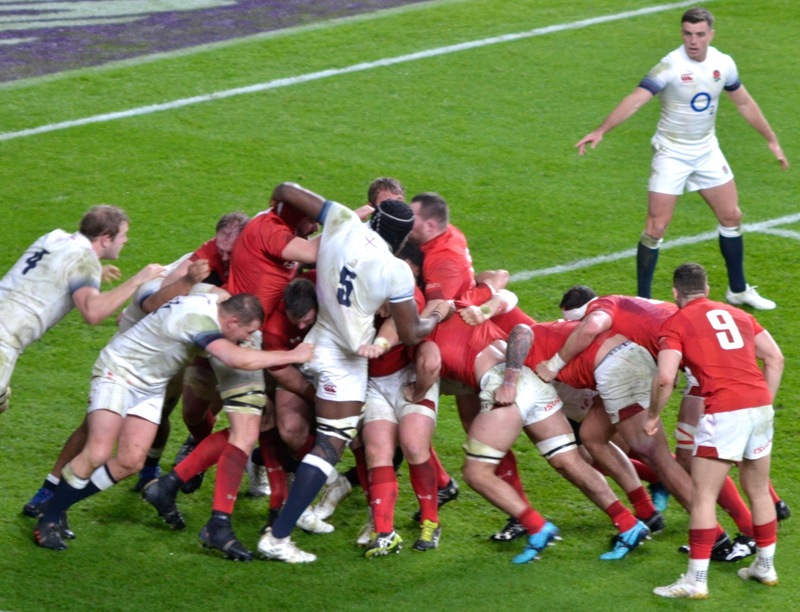 They came out for the second half knowing that England would be straining every sinew to get early points on the board, but denied them until Daly’s second try at 64 minutes. In the meantime, Murray took over kicking duties from the clearly injured Sexton and fired over a penalty to extend their lead to 24 points. Schmidt lauded his side’s effort after the match: “There’s a mixture of pride and relief after a game like that. “Our defence in the first eight minutes of the second half was immense. We knew we couldn’t let them score early in the second half. The men in green were sharper in attack, protected the ball better when they had possession and were resolute in defence. 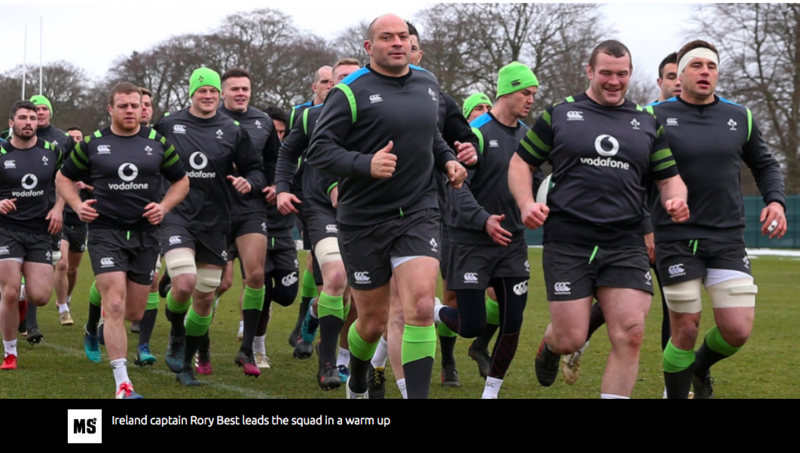 Rugby should be a simple game and Schmidt has been building his side into a potent mixture of experience and youth. His side also showed flexibility when injuries forced players out of position and old hands like Sexton departed the action, with the inexperienced Joey Carberry entering the cauldron. Man of the match Tadhg Furlong was immense in the forward pack, making 14 tackles and 12 ball carries, but the award could easily have gone to so many in the Irish side. The stats show that England had more possession, more territory, more ball carries and metres made. Ireland had to make more tackles and had fewer line breaks but protected the ball better and, crucially, were more clinical when they did attack. Ireland have beaten the mighty All Blacks, ruined England’s own grand slam attempt last year, supplanted Jones’s men as the second-best side in the world and carried all before them in the 2018 Six Nations. Schmidt has developed an awesome side who are improving match by match just over a year from the 2019 World Cup in Japan and are worthy grand slam winners. To win only their third slam on St Patrick’s Day was the green icing on the cake.